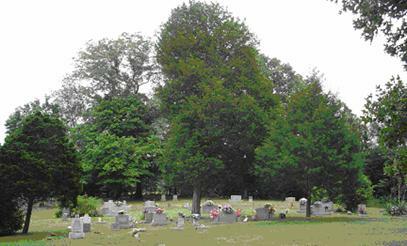 To reach the Piney Grove Cemetery, travel highway 17 north from Cox Creek Parkway to .3 mile north of Wilson High School. Turn right (East) onto County Rd. 224 and go 1.12 miles. Turn right (south) onto a dirt and gravel drive between a residence and a barn and go about 300 to 400 feet to the gate at the entrance. The cemetery is fenced and lies behind an equipment shed and into a wooded area. 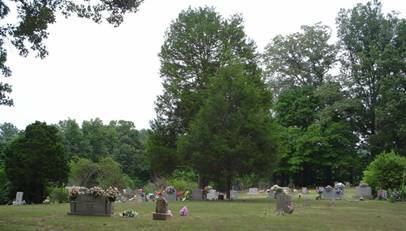 There are upwards of 50 to 60 unknown graves in this cemetery. Channell, W.I. ; b. 10 Dec 1897, d. 18 Dec 1897, son of H.C. & S.C.
Clark, Sina B.; b. 24 Feb 1893, d. 07 Oct 1990, wife of Thomas H.
Jenkins, W.D. ; b. 27 Sep 1898, d. 10 Mar 1900, son of H.L. & S.C.
Meler, John B.M. ; b. 17 Jun 1858, d. 10 Aug 1858, son of J.M. & A.
Richardson, Alice P.; b. 15 Apr 1859, d. 13 May 1891, wife of H.D. The following graves lie to the south of the first part of the cemetery in a wooded area.